Tony Palmer - director of the "Bird on a Wire" documentary film - was sorting out his archive the other day and came across some unmarked cans of film, and guess what? Thanks to Tony for the info!! Thank you! very exciting news. Looking forward to this. It was only a few days ago that I watched the “Bird on the Wire”movie (again). The atmosphere of the movie and the live performances still are mesmerizing. This should be a very interesting DVD! Thank you Jarkko(and Tony) a little bit patience now !!! You can now order this from Pledge Music. To get the CDs as well as the DVD you need to buy the Deluxe edition which comes to £85 including postage. The pre-order package looks wonderful, but I will have to wait and see if it will be offered within reach of our budget. 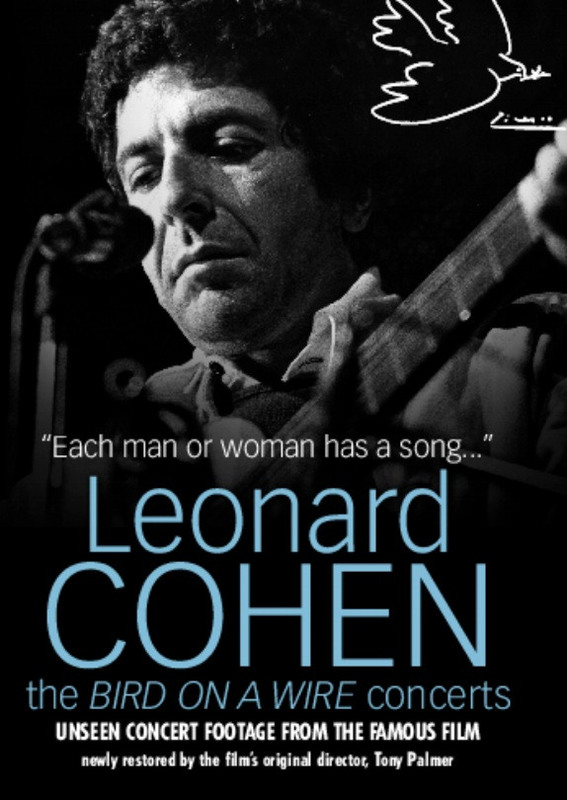 I love Leonard's performances during the 70s, so I am very tempted, but at that price it will have to wait.